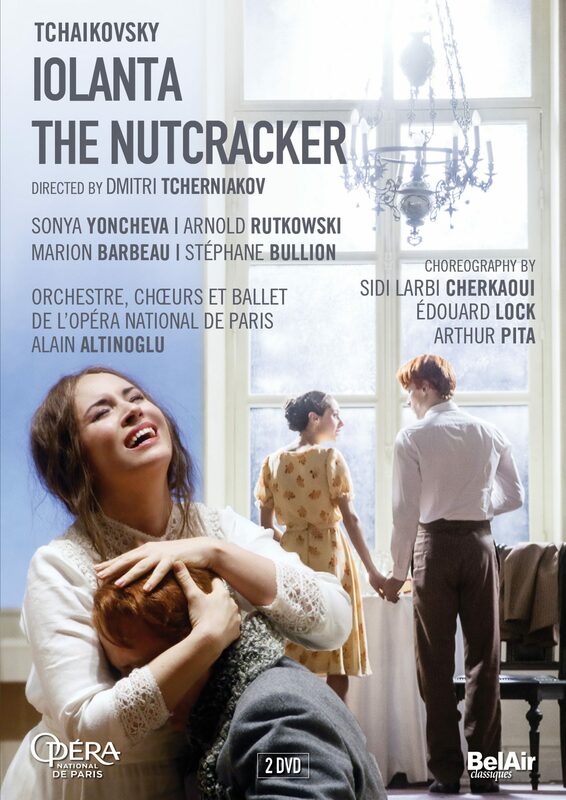 To bring together again, for the first time since their premiere on a December evening in Moscow, Tchaikovsky’s opera Iolanta and ballet The Nutcracker, was the audacious challenge that Russian stage director Dmitri Tcherniakov accepted for the Palais Garnier in Paris in March 2016 : a revolutionary production, which was to become one of the key events of the Paris Opera season. To insure the continuity and a sense of dramatic consistency between the opera and the ballet, Tcherniakov skillfully modulates the space provided by the Palais Garnier. A solution that also enables him to question the very nature of both theater and illusion, as well as their specular relationship with the reality they try to make us forget. Bulgarian soprano Sonya Yoncheva delivers an flamboyant interpretation of the blind princess Iolanta, and shares the stage with Polish tenor Arnold Rutkowski and Ukrainian bass Alexander Tsymbalyuk. The internationally renowned French conductor Alain Altinoglu joins forces with the Paris Opera Orchestra and Chorus, while the Paris Opera Ballet, among which Marion Barbeau– a radiant Marie – and the Étoiles Stéphane Bullion and Alice Renavand, reinvents the most popular ballet of all times. SKU: N/A. Categories: Ballet, Opera. Running time : 241 min.